I’m not one to make new years resolutions because A) I usually make unrealistic ones to stick to, and B) I find them impossible to stick to! So for the blog I’ve been thinking about what easy steps anyone could implement to update their look for a more stylish year. Everything on this list is so simple to achieve, pragmatic, and will improve your sense of well being. You know the phrase “look better, feel better”, well it’s true. Follow these 6 easy steps and you will ultimately feel and look better, I promise. No diet required! Here’s to a new year, a new look and upping the style quotient in your life. If along the way you need some style advice or a gentle push, I’m here to help. Leave me a message in the comments section and I will be in touch. 1. First things first. 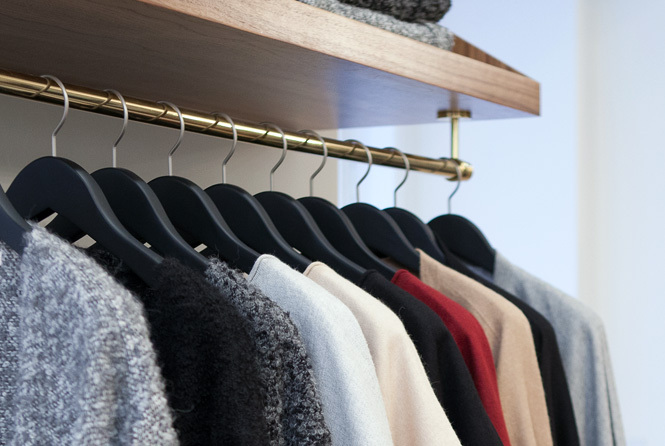 Edit and organize your wardrobe. Remove anything that doesn’t fit, isn’t comfortable, looks like it’s had better days or needs repairs you never got around to taking care of (I know this one all too well myself!). It’s amazing what a psychological and emotional lift you may feel when you clear out your closet. What you should be left with are all things you really love and want to wear. Out with the old to make room for the new. 2. Now that you know what’s in your streamlined closet, try to wear every piece you own at least once this year. If at years end you haven’t worn it, give it another life. Gift it to a friend or donate it to a charity so someone else can enjoy it. 3. Step outside your comfort zone. 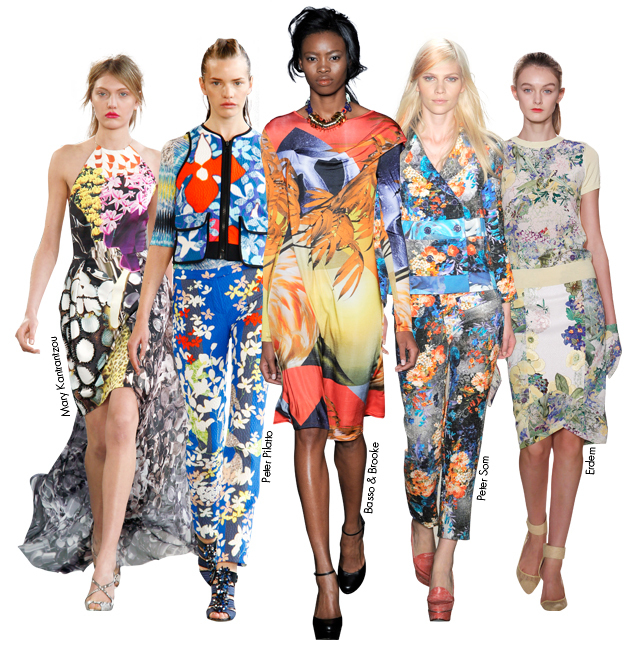 If you mainly stick to wearing solid or neutral outfits, try wearing a daring print or a bright colour to mix it up. If it really feels daunting to you, take baby steps, try wearing a bright or pattern scarf with your usual uniform. 4. Invest in quality well made classics you will be able to wear year after year. I believe in quality over quantity as the best approach when you’re thinking of making any purchase. It’s ok to buy a cheap and cheerful trendy item once in awhile to add some fun, fashion should be fun. But your core wardrobe should consist of timeless items that are well crafted to last, flatter you and speak to who you are. 5. Push your boundaries by trying at least one of the latest wearable trends. Try wearing your collared shirt untucked under a crewneck sweater for a relaxed but chic look or if you are feeling more daring, don a double breasted blazer. Bet you wouldn’t have seen that one coming back. In fact, you may just find one that you forgot was lurking in the back of your closet. I keep my very special pieces, usually expensive designer articles of clothing, even if they fall out of style or just don’t feel right anymore, in what I call my archives. Inspired by all of the fashionable double breasted blazers seen on the spring runways, I recently pulled out of the archives a smart looking Plein Sud double breasted blazer from the 90’s. I know, I just told you to get rid of anything dated you are no longer wearing! I do follow this rule with the exception of some very special pieces I love. Some people collect stamps or coins, I collect fashion. After years of being stored properly it’s still in impeccable condition, fits like a glove and will be fun to wear again. 6. Try out a new hairstyle. Yes, I saved the gutsiest one for last. So many of us get attached to a hairstyle and don’t change it for years. Just look at a sampling of people on the street, and you’ll come across someone who looks like they are living another era. Just as fashions change and can look dated, so do hair styles. The bob is all the rage, works with all hair types and looks so fresh right now. I’ve been dreaming of cutting my hair into a bob for a couple of years. I’m still working up the courage to let my long locks go. I have been feeling dragged down by the length lately. I’ll be seeing my hair stylist for an appointment in a couple of weeks and I’m ready for fresh new look to take on the new year! Next PostHappy Chinese New Year!